In 1963, Jim Whittaker became the first American to stand on the summit of Mount Everest. Hailed as a hero back home, his adventures affected every element of his life. 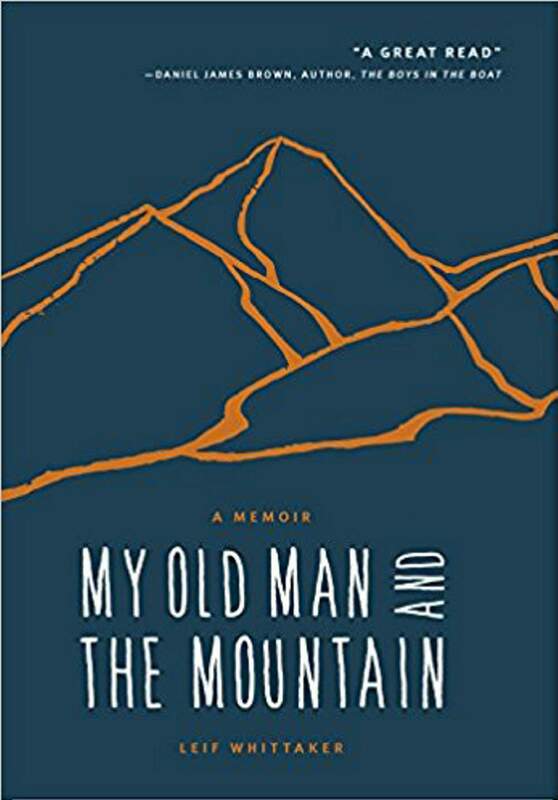 In My Old Man and the Mountain, Leif Whittaker examines what it was like to “grow up Whittaker,” and how his father’s accomplishments led to his own. The result is a heartfelt and honest adventure story about family, struggle and how others’ legacies can help us to find our own. Examining his childhood, Whittaker explores how he found his way out from under the shadow of his father and the events that eventually take him to the summit of the highest peak in the world. It is an honest look at high-altitude mountaineering. He doesn’t skirt around the grittier ways that altitude affects the human body (at 18,000 feet, the oxygen concentration is half of what it is at sea level), the stomach bugs (and the lack of indoor plumbing to help mitigate their consequences) and the bodies that line the trail in the “dead zone.” He discusses many of the conflicts that surround high-altitude tourism, from the ecological effects of leaving spent oxygen canisters high up on the mountain, to the harsh reality that bodies that line the trail will remain there. The result is an authentic examination of high-altitude climbing, and an honest and thrilling adventure story. A fantastic memoir, My Old Man and the Mountain is a great read for anyone who loved Boys in the Boat. A wonderful coming-of-age tale that explores how we push our limits, both physically and mentally, as we grow. What: Leif Whittaker will be speaking about his first book, My Old Man and the Mountain. When: 6:30 pm. April 25. More information: Books will be available for purchase. Visit http://bit.ly/2ozzG3x for more information.